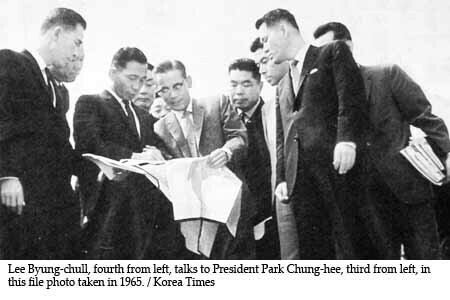 Samsung's esteemed chairman Lee-kun Hee is overseeing a multibillion empire, which he's been creating for decades now, but when it comes to relatives getting in the way, all bets are off, even in a family-run chaebol like Samsung. 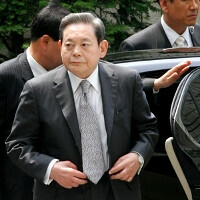 Lee Kun-hee's siblings filed a lawsuit demanding more shares in the company, as heirs of Samsung's founder in their turn, while Lee's lawyers argued that his father named him a successor, and he was the one who turned the relatively small company to the world-class conglomerate it is now. The plaintiffs were seeking about $4 billion in shares from the various company holdings, but the South Korean court just ruled today in Lee Kun-hee favor, avoiding a wave of disturbance and reshuffling going through the intricate network of shareholder layers around the group's numerous businesses. It all ends up at Samsung Life insurance and Samsung Everland, which is on paper a zoo and amusement park operator, but in fact owns a large chunk of shares in Samsung Group, while Lee Kun-hee controls both companies with the family stake in them. His personal fortune is estimated at more than $8 billion, so giving away half of that to the relatives would have been a bitter pill to swallow. "Regardless of the truth of what happened or the final outcome of this case, I think it may also have been one of the late founder's wishes that both parties have a happy life together with no quarrels," said the judge before the verdict. The ruling comes at a time when South Korea is a bit fed up with family-run chaebols that rule the country, and is ultimately deemed positive for Samsung, as its shares shot up 3% on the news. Check out how Samsung rose to a chaebol prominence for more info on the company culture. Money ruins families, it's a well known fact. It's the other way around for my family, they ruin money. Nobody can win a lawsuit against Samsung. Not even Samsung itself. Let's see. How differently will he live worth 4 billion instead of 8? OTOH - it doesn't say what the others are worth without this deal either. Classic entitlement case here folks...they probably did nothing to help and want their share. typo: Lee-kun Hee @ the 1st sentence. correct: Lee, Kun-hee @ the rest of the article is fine.